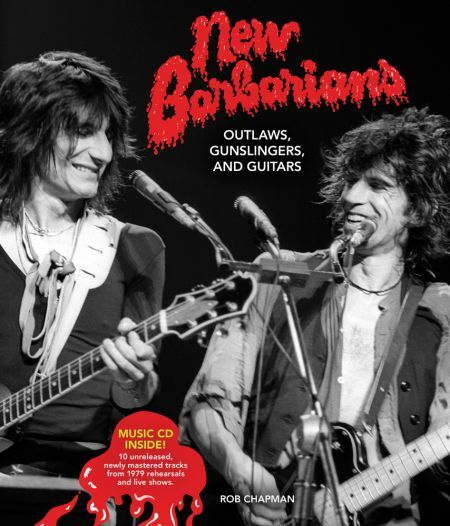 Flip open “New Barbarians: Outlaws, Gunslingers, and Guitars,” the new book about Ron Wood’s ’70s supergroup the New Barbarians, and you’ll likely get the impression that the book is a photo essay. To an extent that’s true; author Rob Chapman’s in-depth look at the long gone band is lavishly illustrated with more than 300 on stage and candid, mostly previously unpublished photos, and presented as a coffee table-style book. Certainly readers can just gaze at the pictures if they want, but to ignore the book’s text is to ignore the story of a sequence of events that were critical to the survival of one of the greatest rock bands of all time, the Rolling Stones. Put together by Rolling Stones guitarist Wood during a time of inactivity for the Stones, the New Barbarians also included Wood’s Rolling Stones cohort Keith Richards, bass man Stanley Clarke, keys player Ian McLagan, drummer Zigaboo Modeliste and saxophone player Bobby Keys. At first thought it would seem that the New Barbarians were just another Rolling Stones side project, very cool but nothing more than a brief blip on rock ‘n’ roll’s radar; after all the band only lasted a year and only played 20 shows. Chapman does an excellent job of dispelling that notion here as he tells the story through band member’s own words, statements from friends of the band and crew, and the news-making hard facts surrounding Richards at the time. Wood formed the New Barbarians ostensibly to have a group to tour behind his Gimme Some Neck album. At the time though, Richards was trying to kick a heroin addiction and was on trial in Canada for a drug bust. Long story short, ultimately Richards would get out of the legal quagmire by playing benefit shows in Canada, both with the Stones and with the New Barbarians. In the process he got clean and started enjoying playing music again, and he has probably rightfully given his stint with the New Barbarians credit for saving his life. The Rolling Stones could not exist without Richards; imagine that the band came to a close in the late ’70s, changing the evolution of rock itself, and you start to understand how fortuitous the existence of the New Barbarians was. Another underlying theme of the book is how the New Barbarians struggled during their brief existence, not because of drugs or other dissipation, but because of the rampant rumors that surrounded their tour dates and potential guest appearances. 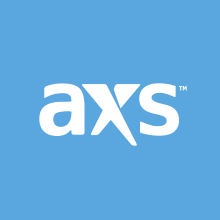 The band never promised any guest players, but seeds planted by radio personnel and others quickly led ticket buyers to believe rumors that everyone from Mick Jagger to Bob Dylan to Jimmy Page might appear; at some tour stops fans were expecting the likes of Ringo Starr, Bob Seger, David Crosby, Lindsay Buckingham or David Bowie to make a cameo. When none of that happened, fans at various tour stops rioted, leading to a befuddled band, already stacked with superstars, looking at possible lawsuits. Despite all of this, Chapman shows how the whole ordeal ended with Wood and Richards being reinvigorated, and that situation is still paying dividends today. Besides the treasure trove of photos and the titillating story, “New Barbarians: Outlaws, Gunslingers, and Guitars” comes with the bonus of a 10-track CD featuring live cuts and rehearsals of songs like Chuck Berry’s “Sweet Little Rock ‘n’ Roller,” the brassy blues of “Rock Me Baby” and “Infekshun” from Wood’s Gimme Some Neck album. Fans of Richards’ vocal work should note that he sings oldies “Let’s Go Steady” and “Apartment No. 9” here. "New Barbarians: Outlaws, Gunslingers, and Guitars” is published by Voyageur Press and may be purchased here.